Donate today and give the joy of motherhood. This breakthrough opens up the possibility of an HIV-free generation, where mothers see their children grow up healthy and full of potential. You can help us make this a reality in Malawi, by investing in the power of local mums. Support a Mother Buddy and join us in Chasing Zero AIDS related deaths worldwide. Mary’s first two children died unexpectedly at infancy - she was devastated. When Mary became pregnant with her third child, she was advised take an HIV test - it came back positive. She described the terrible pain she felt at realising her first two children were likely to have died from AIDS. "I was so depressed; I blamed myself. Why didn't I get tested earlier? 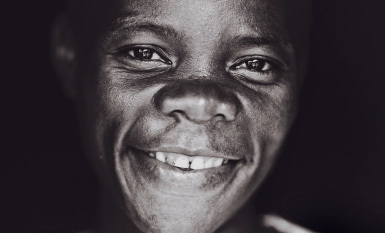 Through anti-retroviral treatment Mary is now a mother of three healthy, HIV-free children! 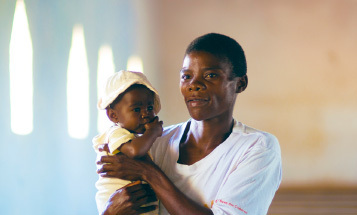 Having given birth to healthy children, Mary was inspired to become a ‘Mother Buddy’ - a mum who is trained to come alongside other pregnant women living with HIV in her community. She provides practical guidance, emotional support and counselling, and as a local mother, others trust her and follow her advice. Mother Buddies like Mary in Malawi are saving the lives of mothers and children every single day. But there are thousands of pregnant women that these remarkable Mother Buddies cannot currently reach. We need to train more mothers like Mary. Today, in honour of motherhood, would you make this Mothers’ Day extra special by helping us train another Mother Buddy? Your support will make all the difference to Malawian mothers, and give children an HIV-free start to life.